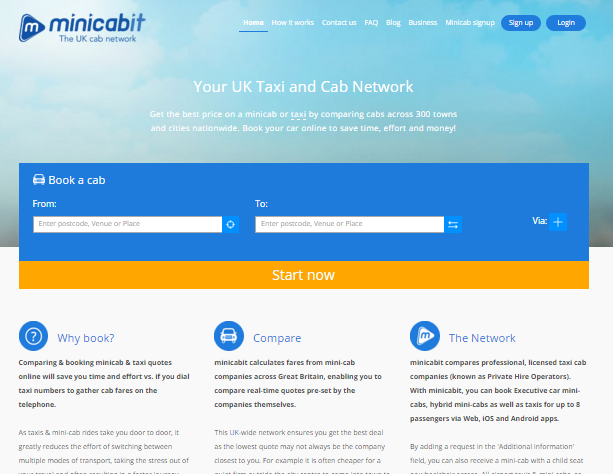 Minicabit is a price comparison and booking engine for booking taxis and minicabs in London and the UK. Through this website you can compare real-time quotes, ratings and reviews so you can find the best fare and book it. You can pay securely by card beforehand or pay cash to the driver. Use coupon code MINICABIT 5 in the last field of Payment Page to get up to £5 off! Overall, Minicabit seems like a good option to use when needing a taxi: cheap, quick and reliable, its price matching service and ability to get fares in real-time are useful features, and with the majority of drivers being friendly, reliable and on-time, there isn’t much to criticise. Go back to Transportation category to find more UK providers of Bus offers and deals.